January 11, 2017 Contact Author	Pia Long, director, Olfiction Ltd.
An animated, moustachioed man with slightly ruffled ginger hair works his way up and down a conference room packed full of delegates. He tells us: “dl-menthol really is the neglected baby of the fragrance industry.” We are at the 2016 British Society of Perfumers annual symposium and Wolfgang Krause, Ph.D., is presenting for BASF. Wolfgang’s inimitable style has everyone engaged. People are guffawing on cue and intently listening to a presentation on materials that were already familiar to this room full of seasoned perfumers. It is clear that Wolfgang would have done well, had he chosen to become a chemistry teacher. There is a reason he speaks of menthol with the same love and enthusiasm people usually reserve for their children. “Most of my time at BASF has gone into being involved with inventing a new process for menthol, which took me and my colleagues more than 10 years from the first steps to finally making it happen,” said Wolfgang. 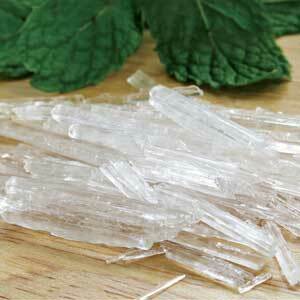 The team has developed a completely new synthesis route for menthol from citral. In September 2016, this longstanding project was awarded with the BASF Innovation Award. Wolfgang attended the Technical University of Berlin in the 1980s and spent his formative years feeling trapped by the Berlin Wall. 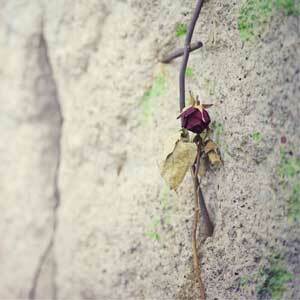 A flower hanging on the Berlin Wall on November 2, 2013 in Berlin, Germany. It is part of the original Berlin Wall which collapsed in 1989. Wolfgang’s passion for chemistry was ignited by an innocent childhood gift of a chemistry set. Of course young Wolfgang set about exploring everything he had to hand around the house first. This interest in plants and their chemistry led Wolfgang to study organic chemistry with a very specific focus on total synthesis, isolation and issues around sesquiterpenes during his time at the Technical University of Berlin. His experiments there mainly based on geraniol and citral which naturally gave him an interest in fragrance chemistry and gave him the foundation for his later work on citral. In 1995, Wolfgang joined the aroma ingredients division and became far more involved with technical marketing and R&D projects for aroma. “We had a very broad portfolio. This was not easy to handle, I would almost call it a learning phase for me to focus on important large volume products. This finally led to many product launches for important ingredients. And from that moment on, my passion for fragrances began. Wolfgang made contact with an external perfumery consultant living in the south of France, who turned out to be the master perfumer, Francis Bocris. “Over the last 20 years, Francis has taught me a lot about fragrance – he has 50 years of experience and knows so much. We have become good friends,” explains Wolfgang. Part of Wolfgang’s current role involves creating demonstration formulas for presentations of fragrance materials to perfumers, but he absolutely does not consider himself a perfumer. As a chemist working closely with perfumers, Wolfgang is very well versed in the sometimes subtle technical details that can alter the quality of a finished product. Everyone talks about getting the best quality and best ingredients, but this is sometimes erroneously attributed to price alone. A cool type of chemistry: Wolfgang and his team developed a completely new synthesis route for menthol from citral. To create a beautiful rose accord, you need a consistent high quality geraniol. And depending on your feedstock, you can get a fine product from citral, but if you start your geraniol synthesis with turpentine chemistry, you inevitably get some remaining trace odor from that process. That’s the natural effect of the synthesis – it’s about trace substances and purity. Indeed, a buyer in a fragrance house might consider vanillin from any source interchangeable, but vanillin ex lignin versus vanillin ex eugenol will have noticeable odor and flavor fingerprints and perfumers and flavorists will notice the difference in quality. 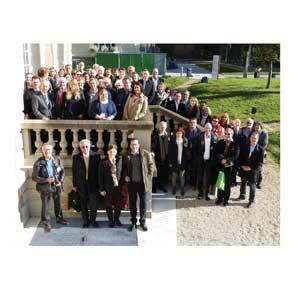 Krause is the current president of the German Association of Perfumers (Deutsche Gesellschaft der Parfümeure, DGP). He takes his perfumery advocacy seriously by active participation in the community and getting the message out there – not just to trade, but to the general public. The German association was formed in 1979 as a professional network of not just perfumers, but also of other experts within the field. Wolfgang feels the society’s inclusiveness of the whole team of people who make fragrance happen is what sets them apart from other international societies. “We try to represent perfumery in Germany and drive the emotional aesthetic element, and to educate the general public about perfumery,” explains Wolfgang. “There are study trips for our members to explore raw material sources; we’ve been to Italy and Bulgaria in 2010 and 2013, and are planning a trip to Spain in 2017 – but we also hold external events. There is an awareness program during the annual SEPAWA (detergents, cosmetics and toiletries association) congress, where we always actively participate with an afternoon program around perfumery issues. More than 2000 people attend, and there has been steady growth in visitor numbers over the years to the exhibition and lectures. We cover emotional aesthetics of perfumery, awareness of the beauty of perfumery – and in 2016 we presented the value chain of perfumed products from ingredient to composition to finished product. Finally, we have our own DGP stand where the general public are invited to raise questions about perfumery,” explains Wolfgang. The German Association of Perfumers,(Deutsche Gesellschaft der Parfümeure, DGP), which Wolfgang serves as current president, advocates active participation in educating both the industry and the public in perfumery. “Perfumers are very important, but you need the other functions. You need the chemists and the sales people and the engineers to make it happen. You need marketing teams. Everything is interlinked. I believe in our approach – some people think that the German fragrance association is a little bit strange because it is not so exclusive to perfumers but I think our industry needs to be united,” says Wolfgang. He calls the new The International Society of Perfumer Creators (SIPC) “a great and valuable mission” – and strongly believes it will help protect customers and perfumers alike. Members of press and the general public often turn to societies like the DGP for any fragrance-related advice. In his 15 year involvement at the DGP and his role at BASF, Wolfgang has been actively involved in communicating about perfumery and science to a number of different audiences. “I cannot really resist the opportunity to do a presentation and to work closely together with our colleagues all over the world. Ten years ago I was very heavily involved in India, and India has a really great spirit of perfumery that a lot of us here in the West are not so aware of,” explains Wolfgang. “To see other cultures in perfumery is very important,” he adds. By the end of our interview, Wolfgang has shared many anecdotes from his life and career. His passion for chemistry, invention and adventure shines through. He is clearly not just a working chemist and a supporter of perfumery, but very much an advocate for science communication, too. I ask him what the biggest lesson he himself has learned during his career.